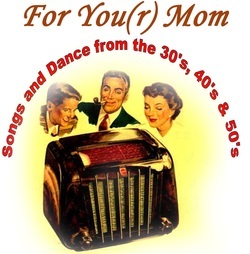 Songs and dances from the 30’s, 40’s and 50’s – a great Valentine gift for your mother. We know many of you would love to hear the songs from your youth, so we are bringing it to you at Starlight Theatre as a special Valentine’s Treat! Songs include “Sentimental Journey”, “In the Mood”, “It Had to Be You” and many more. Many popular local singers will be performing: Martin Underhill, Bill Henson, Emily Clark, The Take Note Guys Barbershop Quartet comprised of Charlie Martin, Al Blakenship, Dan Templin and Mike Barger and many more. More information about "For You(r) Mom"
Red, White and Tuna is the third in a series of comedic plays (preceded by Greater Tuna and A Tuna Christmas)each set in the fictional town of Tuna, Texas, the "third-smallest" town in the state. The play is at once an affectionate comment on small-town, Southern life and attitudes but also a withering satire of same. Two award-winning actors, Michael Hays and James Houska, will play the entire cast of over twenty eccentric characters of both genders and various ages. 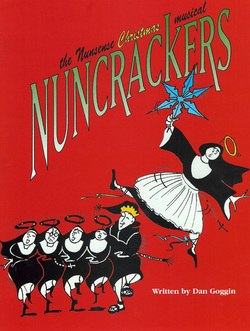 Red, White and Tuna is notable in that the two actors final costume change (normally done off-stage) is done in full view of the audience. 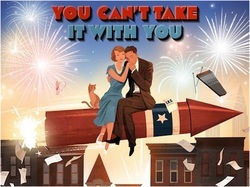 More information about "Red, White and Tuna"
More information about "You Can't Take It With You"
Hearing Assisted Devices are available and must be requested when making your reservation.